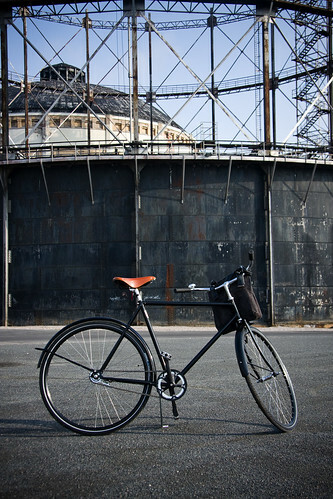 We're popping back to Helsinki Cycle Chic for a moment, so bear with me. There were many things that amazed me about the city - bikewise and otherwise - but one thing that I found quite fantastic was the amazing number of vintage Nordic bicycles under the bottoms of Helsinki's Citizen Cyclists. You don't see many in Denmark anymore but take a trip across The Sound to Malmö, in Sweden, for example and there are many more to behold. 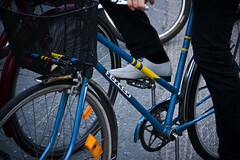 But Helsinki seems to be a magnet to which all these gorgeous old bicycles are attracted. 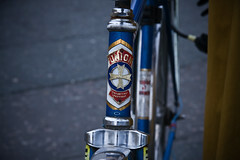 Not surprisingly, the fashionable crowd have adopted these old bikes from the 50's, 60's, 70's and 80's. They are undeniably aesthetic and cool. But in every bike rack I found examples. Like the Norwegian 'Norrland' in the top photo and the Finnish 'Tuntari' just above these words. Many of these bicycles were in exile around Scandinavia for many years, hidden away in summer houses - like these ones at ours - but with the reemergence of the bicycle as transport in our cities, these old workhorses have been given a new lease on life. 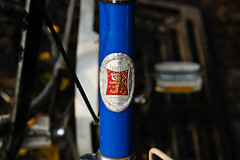 Above is a 'Union' bicycle from Norway. Another Finnish 'Tunturi' and a Swedish 'Monark'. This old 'Tunturi' was quite beautiful. There were even remnants of a knitted skirtguard and the contents of the toolbox under the backrack were vintage, as well. 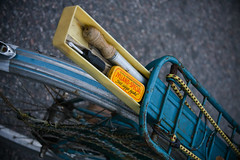 Including an old school Danish bike repair kit called Jylland Special. I even have one of these vintage kits here at home. 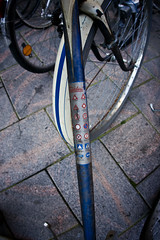 All in all it was a real treat to see so many cool, old bicycles on the streets of Helsinki. I learned that the price is rising on them - at the moment it's about €150. Just like the rebirth of the Mini Bikes, it's safe to say the there's no school like the old school. I didn't get to ride a vintage pearl around the city, but I was more than content at riding this bike, above, graciously provided by the new Finnish brand, Pelago. With my recently purchased bag from Ortigiano strapped to the handlebars. Pelago's designs are true to the vintage style, so it was perfect for my visit. 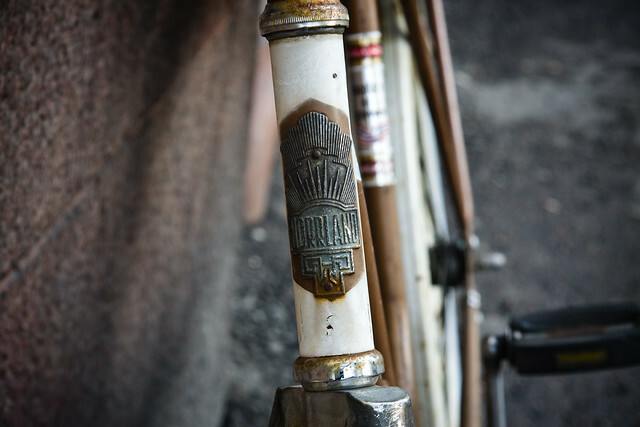 We do have vintage bikes in copenhagen. 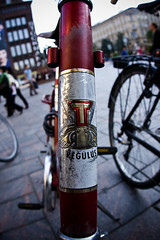 Check out http://recycles.dk/ they restore old bikes and places like that are getting more and more popular! 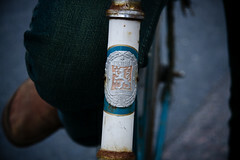 Objects can be "vintage" when they're old and well cared for. These are just crappy old junkers. I see a lot of these around town these days. 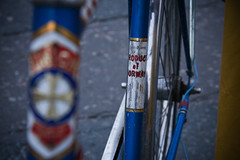 No paint, lots of rust, moldy flattened tyres, cranks all wonky. Uncool, and hazardous to ride. Oh silly me, that's what makes them cool dontcha know.